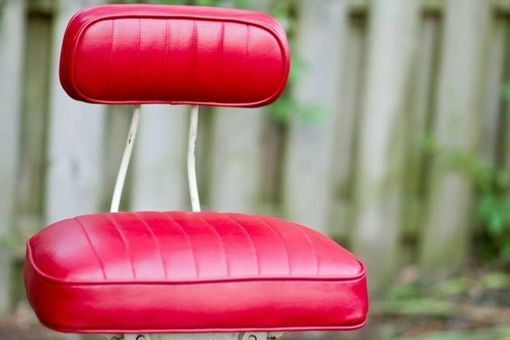 This industrial drafting or work stool makes quite a statement with the red vinyl upholstery. The upholstery and padding have been completely replaced, as the original were unsalvageable. 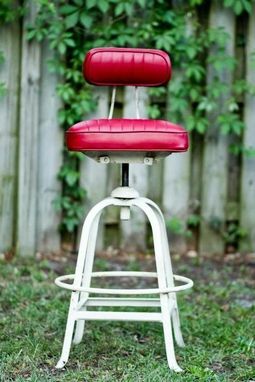 Seat is extremely comfortable and height adjusts as the stool swivels. The cast iron frame is white but due to some rust spots and yellowing has a creamy appearance. This seating is both functional and cool. 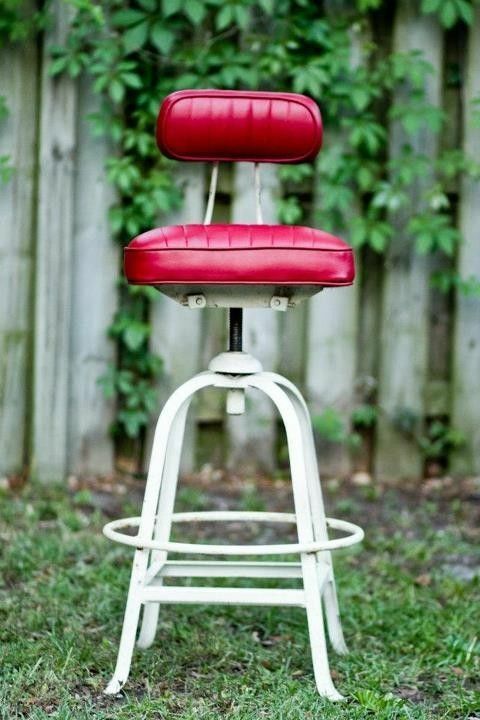 The photograph shows the stool at its highest position. Dimensions: The seat is 31" at it's lowest point, and 35" at its highest. The back, also padded, is 12" from the top of the seat. The seat measures 16" by 17" wide.